The subcaliber technology is not new. Similar products, like the SLAP, are already on the market. 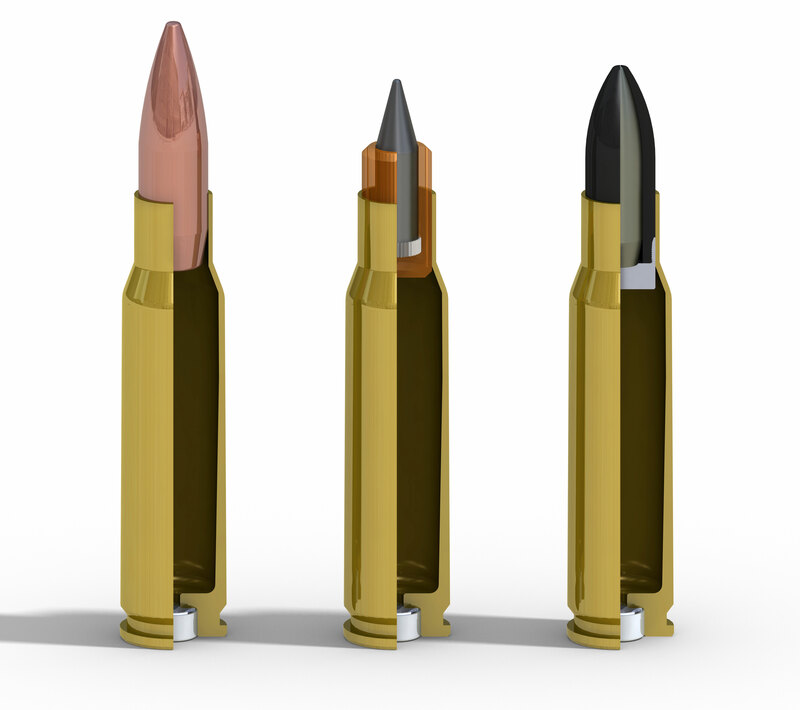 The problem with these is that they cannot be fed through an automatic cycling weapon without feeding problems, due to the exposed tip of the core projectile. CBJ Tech AB´s solution is far superior to the existing products both regarding functionality and performance. The core projectile is completely encapsulated by the sabot, which has an outer geometry similar to FMJ projectiles. This ensures that the feeding works properly in automatic cycling weapons, and provides better support for the core projectile during the acceleration through the barrel. The metal gas check ensures that rotation is transferred to the core projectile through a pattern at the rear end of the core projectile without rotational slip. This gives the ammunition superior accuracy, even at high or especially at low temperatures. 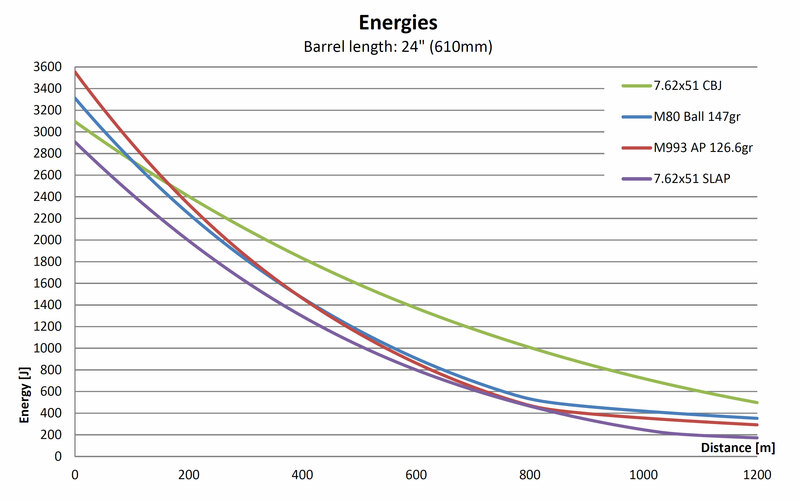 The development of the 7.62x51 CBJ is in its final phase and the results so far are remarkable. 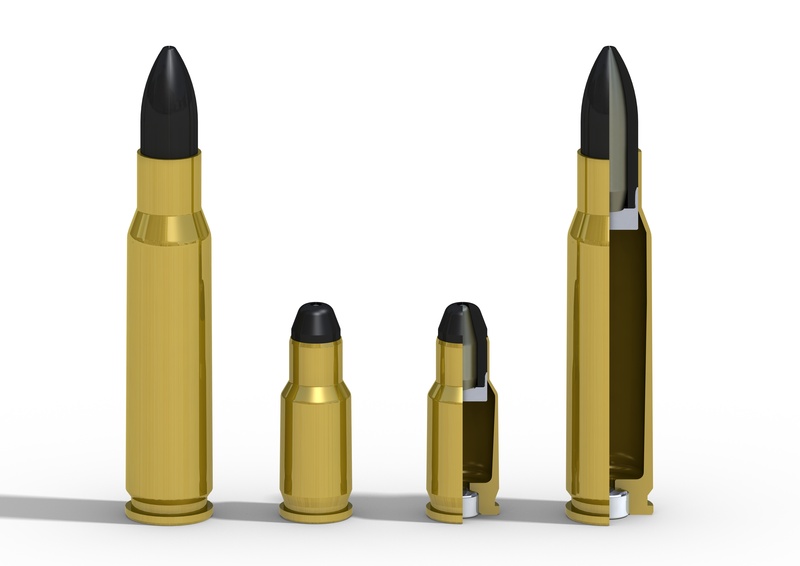 High system flexibility – possibility to combine with non subcaliber ammunition, like FMJ or Tracers. 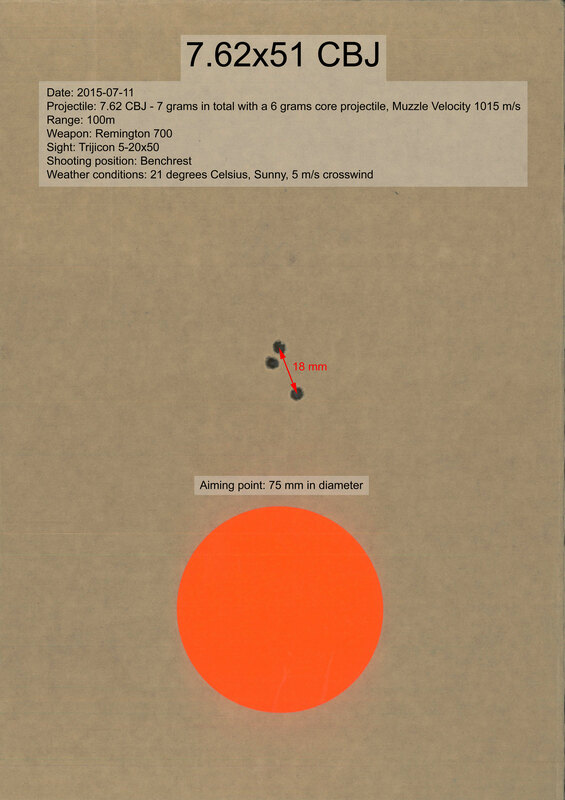 The charts below compares a typical standard 7.62x51 Ball round, the US M80, with the performance of the M993 AP, 7.62x51 SLAP and the CBJ projectile when shot from a 24” (610mm) barrel, which is typical for a sniper rifle or a machine gun. 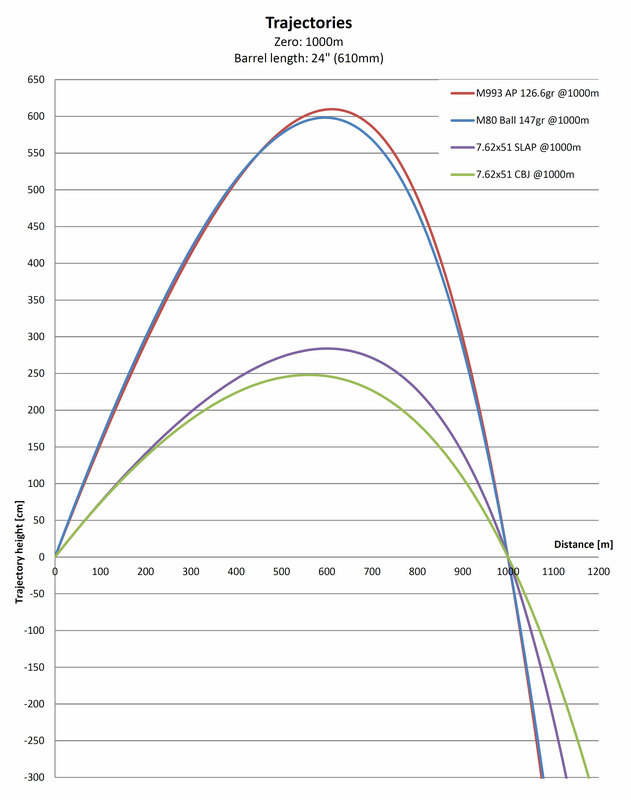 Published data has been used for the M80, M993 and SLAP. V0 for the 7.62x51 CBJ has been verified during several tests. 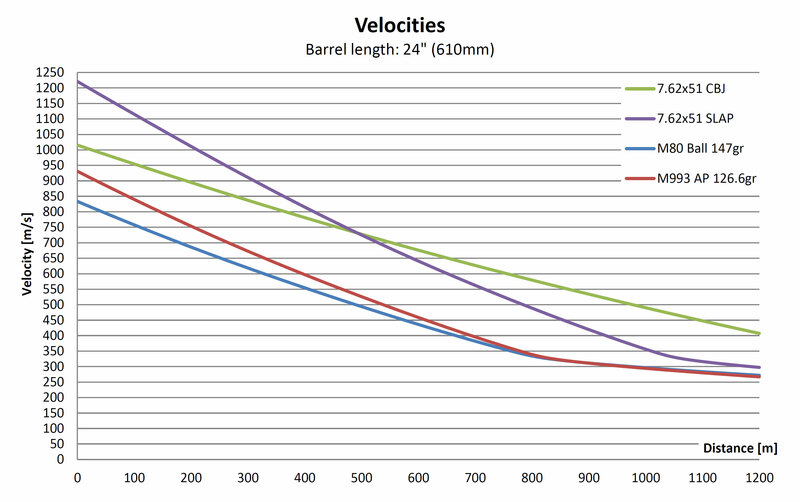 The Ballistic Coefficient (BC G7) for the 7.62x51 CBJ is calculated with regards to the projectiles characteristics, like caliber, nose length, nose radius, nose shape, boat tail, density and overall length. 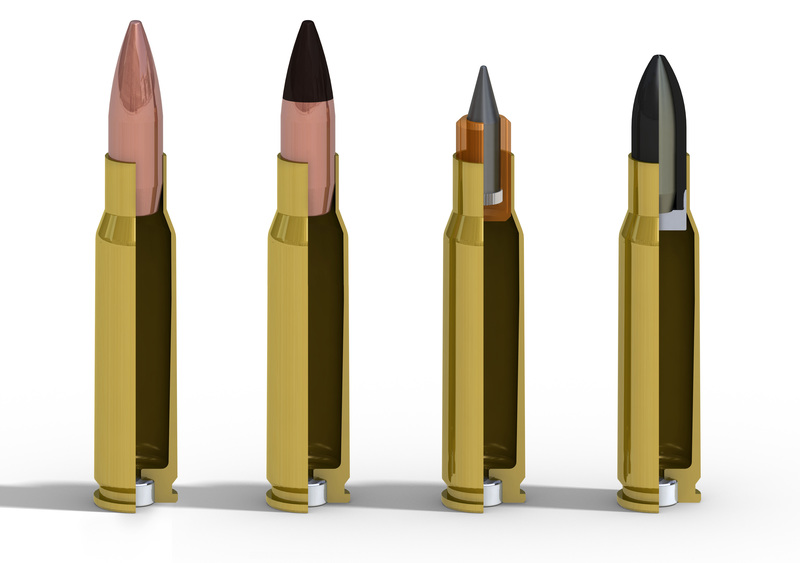 Testing is continuously being done in order to evaluate the penetration performance of the 7.62x51 CBJ cartridge. Various armor plates have been tested with very good results as well as some types of body armor. 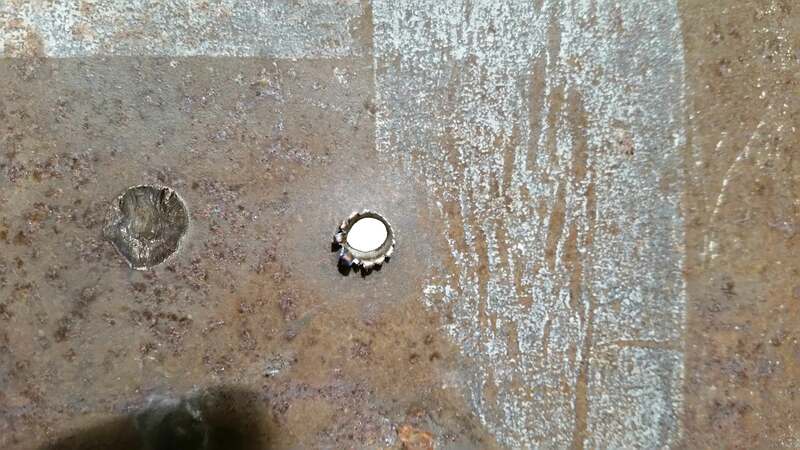 The first picture shows an armor plate that has been shot at 10 m range. The hardness of the plate is 300 HB and the thickness is 18mm. The left hit is from a 7.62x51 FMJ and the right hit is from a 7.62x51 CBJ. 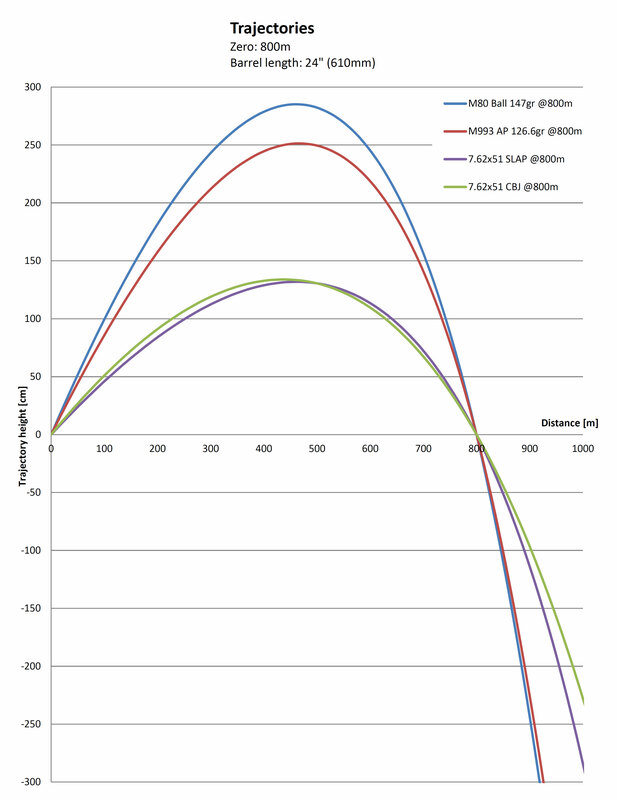 Other tests have been bade against body armors, and the results show that the 7.62x51 CBJ is able to penetrate up to NIJ level IV. However it has not yet been determined at what range it can do this. The tests have only been conducted at 10 m range at this point. 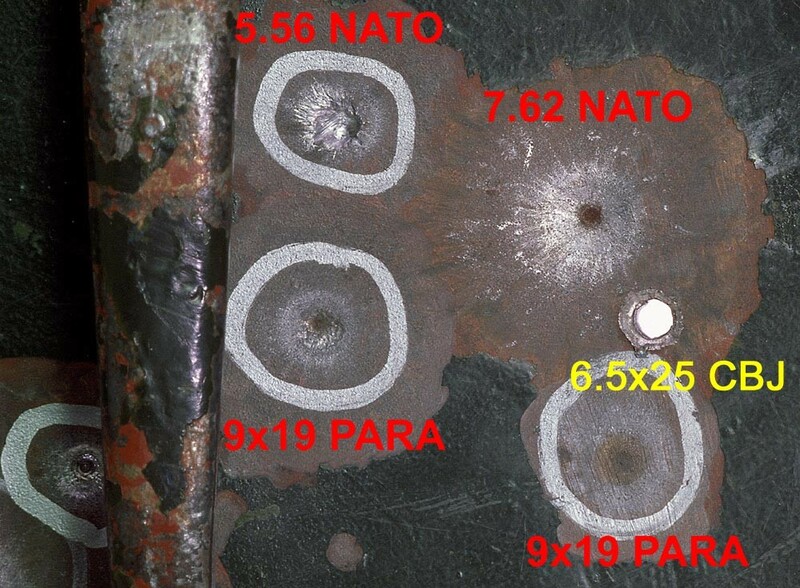 The 7.62x51 CBJ is able to penetrate this plate at 920 m range, with a hitting velocity of 525 m/s. Testing and tweaking is still being done but there is potential for great precision.